Dr. Schwope is a Resident and Dr. Cohen is an Assistant Professor, Department of Radiology, The Mount Sinai Medical Center, New York, NY. In recent years, there have been several improvements in biliary imaging. While sonography is the predominant modality for the evaluation of the biliary tree, the advent of and improvements in computed tomographic (CT) and magnetic resonance (MR) imaging techniques have resulted in better characterization and earlier detection of both common and rare biliary diseases. 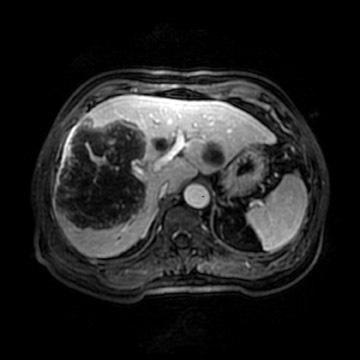 This article will briefly discuss recent advances in CT biliary imaging and MR cholangiopancrea-tography (MRCP). The currently available techniques for biliary evaluation have several limitations. Although ultrasound remains the standard initial test for assessment of the biliary tree, its limitations include inconsistent visualization of the distal common bile duct, operator dependence, and the difficulty in providing a reproducible examination. 1-3 Endoscopic retrograde cholangiopancreatography (ERCP) can not only be used to diagnose disease but can also be used for treatment. This technique is limited by a significant failure rate of 1% to 10%, as well as associated mortality and morbidity rates of 1% and 8%, respectively. 4-7 Therefore, ERCP should be avoided when acceptable noninvasive alternatives exist. 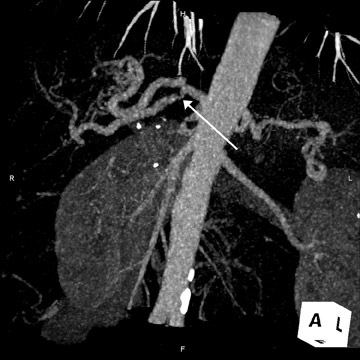 8 Percutaneous transhepatic cholangiography (PTC) also has the potential to both diagnose and treat biliary disease; however, it, too, suffers from significant morbidity and mortality--up to 2.5% of patients. 9 An additional common limitation of both invasive techniques is poor visualization of obstructed ducts that often cannot be directly accessed. Two unique properties of bile that are exploited to aid visualization by nearly all MRCP sequences are its relatively high water content and its stasis compared with that of the adjacent blood vessels in the portal tracts. Therefore, most MRCP sequences are heavily T2-weighted and rely on an acquisition that is usually slower than moving blood, producing high signal in the biliary tree and signal voids in blood vessels that lie in close proximity. The current workhorse of MRCP is the long echo-train T2-weighted image, which permits rapid and effective imaging of the biliary system. By varying the echo time (TE), the T2-weighting of the sequence can be modulated to emphasize or localize bile by improved visualization of adjacent soft tissue structures. 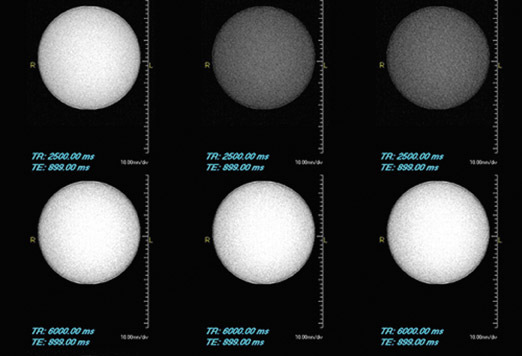 This sequence is usually acquired in the axial and coronal planes (true coronal or oblique coronals) with a slice thickness of 4 to 5 mm for standard 2-dimensional (2D) acquisitions. 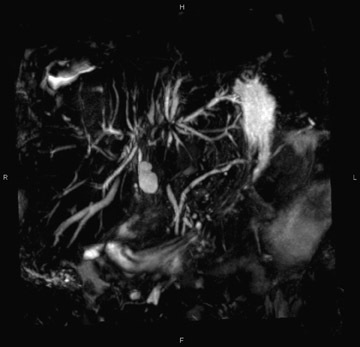 By supplementing this sequence with fat saturation and increasing the slice thickness to 40 to 60 mm, "thick-slab" MRCP images can be obtained. To allow for adequate signal from bile, images cannot be acquired in rapid succession, such as in a single breath-hold. The repetition time (TR) of MRCP sequences must be sufficiently long (generally >4000 msec) to permit recovery of the water content so that the next pulse will be effective (Figure 1). However, this same factor (the relatively long TR time) that enables good visualization of bile also limits imaging speed. The outcome of 3D sequences is often quite dramatic, even in a patient who cannot tolerate short breath-holds. In the authors' experience, the only significantly degraded studies have been obtained when patients shift their position during the relatively long (3 to 7 minutes) free-breathing acquisition. This technique can be performed with a traditional respiratory monitor (bellows) or with a navigator sequence (Figure 2). The results can be treated like any high-contrast 3D acquisition with further manipulation on a workstation-a technique usually reserved for angiographic procedures. While maximum-intensity projection (MIP) images of this data are quite similar to the thick-slab images, postprocessing enables the removal of artifact from sources, including fluid in the duodenum and stomach (Figure 3). However, it has been the authors' clinical experience that there is some blurring of small areas of signal voids, which often represent calculi or, less likely, air (Figure 4). 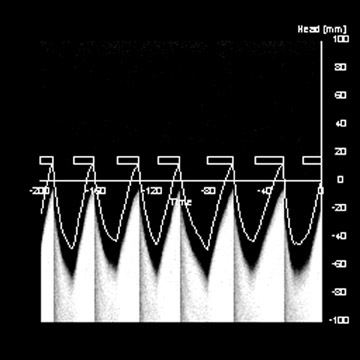 This likely represents the motion-induced edge distortion of the higher-signal-intensity bile and, thus, obscuration of adjacent areas of signal void during normal respiration. Further studies are necessary to validate this observation. While robust noncontrast MR techniques can answer almost all diagnostic questions, there are occasions in which the additional information yielded from a contrast-enhanced examination can be useful. These include the evaluation of potential liver donors 11,12 and the functional assessment of the biliary anastomosis subsequent to surgery. 13 The drawback of this approach is the requirement of intact liver function for the uptake and excretion of contrast; therefore, contrast-enhanced studies have decreased utility in patients with an elevated serum bilirubin level. There are currently 2 drugs on the market that are approved by the Food and Drug Administration (FDA) that are excreted by the biliary system. The older of the 2 agents is mangafodipir trisodium (TESLASCAN, GE Healthcare, Chalfont St. Giles, UK). While this agent is adequate in biliary imaging, it is no longer available in the U.S. market (Figure 5). The newer agent, gadobenate dimeglumine (MultiHance, Bracco Diagnostics, Inc., Princeton, NJ), has been FDA-approved for central nervous system applications, and its use for biliary imaging is off-label. 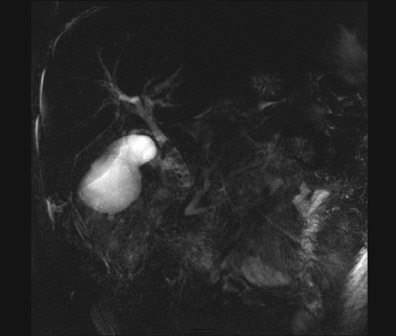 It has an approximate 4% biliary excretion and can be used as an adjunct to the normal examination, with the addition of delayed imaging approximately 1 hour after the initial injection. This technique may be particularly useful in a patient whose biliary anatomy has been surgically altered so that it is not readily accessible by ERCP. 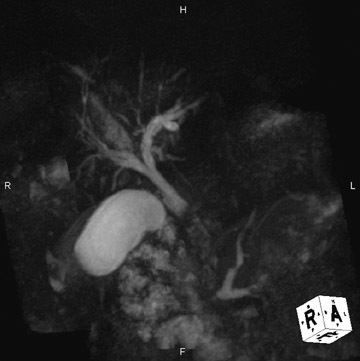 Figure 6 is an example of such a study in a patient with a Roux-en-Y biliary anastomosis and recurrent nonspecific abdominal pain. There was concern of possible obstruction involving either of the 2 biliary anastomoses versus another source of the intermittent pain. The routine MRCP examination revealed only mild, nonspecific biliary dilatation, which may be attributed to the anastomosis. With additional delayed biliary imaging, a significant biliary stricture was excluded as the source of the patient's symptoms. 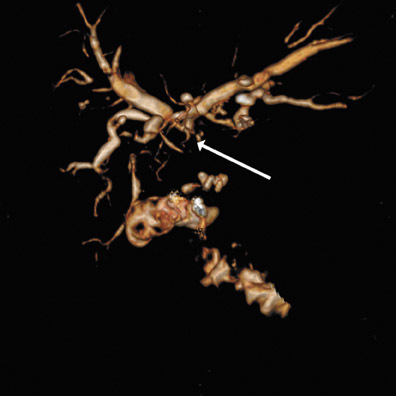 However, moderate stenosis of the proper hepatic artery and complete occlusion of a right hepatic branch were noted (Figure 6). Although CT generally has a higher spatial resolution when compared with MR imaging, relatively, it lacks contrast resolution, which limits its ability to evaluate the biliary system. 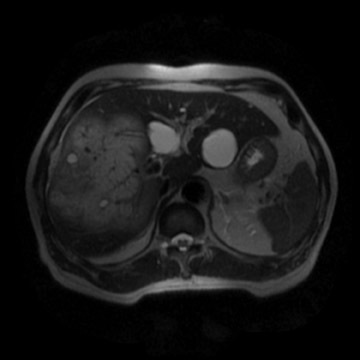 Therefore, while CT is very specific for biliary pathology, its sensitivity is limited. 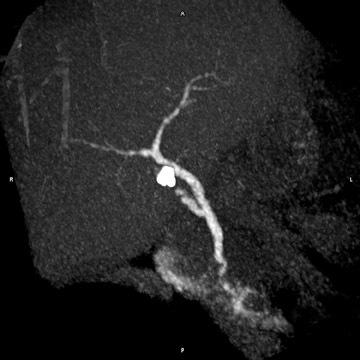 CT cholangiography can be performed using iodipamide meglumine (Cholografin, Bracco). 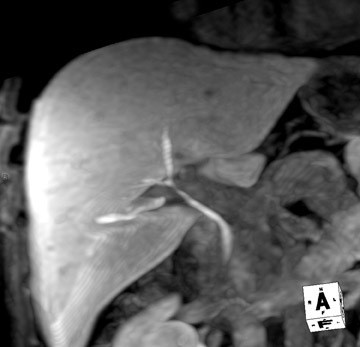 This contrast was originally used for imaging of the biliary system with conventional fluoroscopy. When performing CT cholangiography at our institution, this agent is diluted in 100 mL of normal saline and infused over 30 minutes. 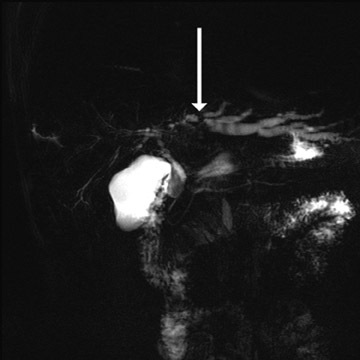 Subsequent imaging occurs 45 minutes after injection, a technique that has been described by previous authors. 14,15 This results in excellent anatomical assessment of patients with intact liver function and is ideal for patients who are undergoing evaluation for liver donation, as well as for the occasional patient who cannot undergo MRCP. 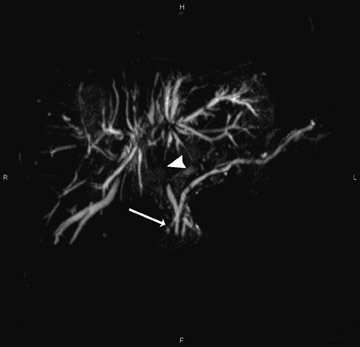 While no studies are available that have compared contrast-enhanced MRCP with CT cholangiography, in the authors' experience with both techniques, one can obtain improved spatial and contrast resolution with CT cholangiography (Figure 7). Hepatic arterial compromise is frequently recognized as a source of biliary pathology in patients who have undergone liver transplant (Figure 8). This is because of the relatively exclusive supply of the biliary tree by the hepatic artery, as opposed to the remainder of the hepatic parenchyma, which has a dual blood supply. 16 Although significantly less common, hepatic artery compromise can also result in biliary tree damage in the nontransplant population. Such instances are seen in motor-vehicle trauma, surgical complications, and hepatic artery chemo-embolization. Damage to the right hepatic artery is often more serious, as it is often the sole supply to the confluence of the right and left hepatic biliary ducts. 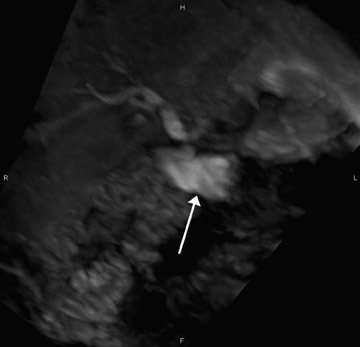 The imaging findings often mimic that of sclerosing cholangitis with a predominant feature of biliary strictures. 17 Patients may present with bilomas later in the course of the disease. In the Western Hemisphere, there has been an increase in the incidence of peripheral cholangiocarcinoma during the latter half of the 20th century, which cannot be simply accounted for by a higher detection rate. 18 This is in contradiction to the decrease in incidence of central cholangiocarcinoma, which can be partially attributed to a higher rate of cholecystectomies. Improvement in both initial detection and correct preoperative grading of the extent of disease is required in biliary tract malignancy imaging. MR cholangiopancreatography also continues to gain acceptance as an initial modality by which patients with suspected primary sclerosing cholangitis (PSC) are assessed (Figure 9). This poorly understood disease has been increasingly diagnosed largely because of better cholangiographic techniques. Primary sclerosing cholangitis is believed to be a premalignant condition. Most patients ultimately succumb to cholangiocarcinoma or a colonic malignancy related to an associated autoimmune disorder, such as ulcerative colitis. There is an estimated annual incidence of 1% to 1.5% and prevalence of 10% of cholangiocarcinoma in patients with PSC. 22 Even though MR imaging, including MRCP, is believed to be one of the best modalities for surveillance, it still has a poor sensitivity for the de-tection of cholangiocarcinoma in this high-risk patient population 22 (Figures 10 and 11). Even though the tools available for the evaluation of the biliary tree continue to grow in sophistication and clinical application, areas of deficiency persist in biliary cancer detection and staging. Additional tools, such as MR spectros-copy and diffusion imaging, may hold potential for improved tumor detection. Further investigations of noninvasive biliary imaging modalities are warranted in order to continue its pace of development in the years to come. 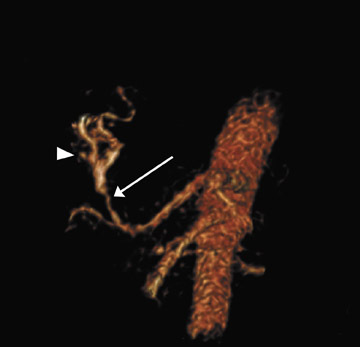 Advances in biliary imaging utilizing MR and CT. Appl Radiol.